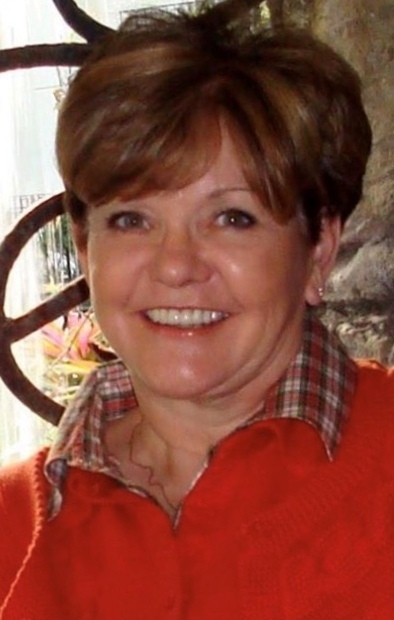 Lynda Carol Daley, 67, of Ankeny, IA passed away from an extended illness on April 3rd, 2019 in comfort, at her home surrounded by her family and loved ones. Lynda was born August 16th, 1951 in Niles, Michigan, the youngest daughter of Donald and Marie Newman, who have preceded her to heaven. Ankeny Funeral Home, 1510 W. First St. is handling the arrangements. There will be a visitation for beloved friends and family at Halbritter Wickens Funeral Home, 615 E. Main St. in Niles MI from 2-4 p.m. on Saturday, April 13, 2019. Lynda graduated from Brandywine High School in Niles, Michigan in 1969 and married her High School sweetheart Dennis Allen Daley, of Buchanan, Michigan on May 2, 1970. Lynda travelled with Dennis for the next 21 years as the Army life took her and her family all over Germany and the southern United States, raising their children and creating social and support groups for enlisted Army wives and their loved ones. Lynda was also the St. Joseph County, IN Bar Association president for a few years, helping attorneys and judges, members of the community, find the resources they needed. Lynda was very active in the community with her compassion and intelligence helping many people and making lifelong and everlasting friendships along the way. Lynda and Dennis finally settled in Ankeny, Iowa, building a house next door to their daughter and grandchildren. Lynda also served on the board of the Ankeny Arts Center for a few years, enjoying in retirement the creation of art and literary expression. Lynda is survived by her loving husband Dennis Allen Daley, and her siblings Charles Donald Newman (Dodi) of Three Rivers, MI and Betty Sue Shively (Newman) (Don) of Niles, MI. Lynda has 3 children, Paul Daley (Gail) of Osceola, IN, Denise Daley Chapman (Brandon) of Ankeny, IA, and Donald Daley (Heather) of Grand Rapids, MI. She has 8 grandchildren. Allyson Daley, Emily Daley, Stephanie Daley, Cole Chapman, Riley Chapman, Cooper Chapman, Dennis Daley, and Maren Daley, and a host of nieces, nephews, cousins and extended family and friends. Many people were touched by Lynda’s warmth, her welcoming friendly smile, and her kind heart but tough love personality. Everyone who called her wife, mother, friend or family knew the depth of Lynda’s compassion and her commitment to her friends and family, to which there was nothing she wouldn’t do for them. We know that in heavens embrace, Lynda will be looking out for us and guiding us and taking those difficult life steps with us. Her love and warmth will always be felt by those that knew her. In lieu of flowers, the family asks that you consider a donation to the Ankeny Arts Center Clay Room Fund, where Lynda loved to spend her time molding clay crafts. Ankeny Arts Center 1520 SW Ordnance Road Ankeny, IA 50023.